Winner of the 2016 Iceland Writers Retreat (IWR) writing competition. 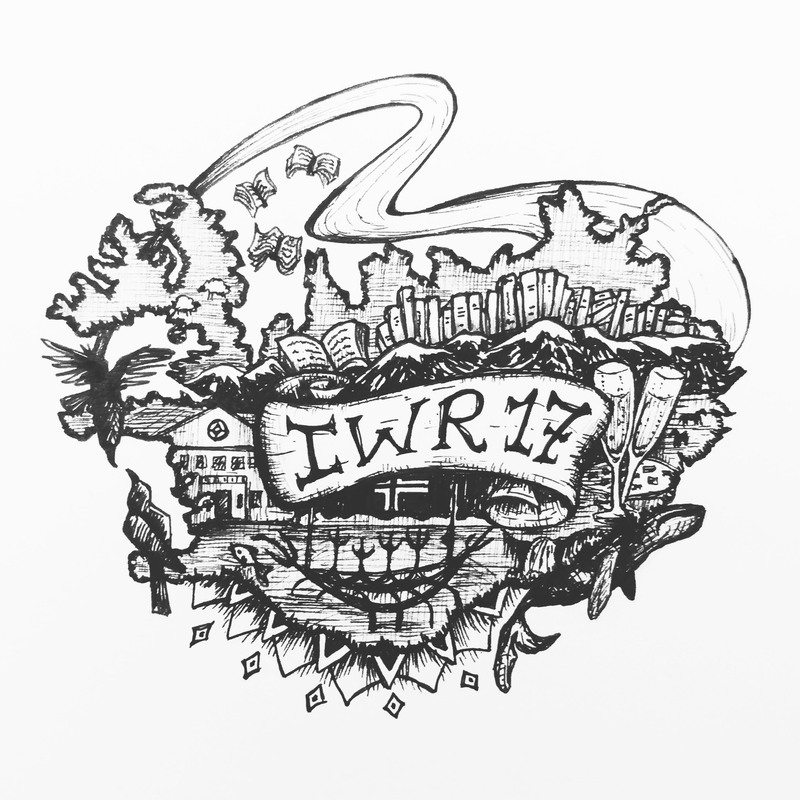 The prize was to attend the IWR 2017 retreat – an amazing week with a trip to the President’s house, a gaggle of literary readings, drinks receptions, touring the magnificent countryside, meeting lots of talented and interesting people and attending workshops with some amazing speakers; Claudia Casper (novels include The Reconstruction), Bret Anthony Johnston (Director of Creative Writing at Harvard University) and Madeleine Thien (shortlisted for the 2016 Man Booker Prize). And thanks so much to Eliza Reid, Erica Jacobs Green and the IWR team plus everyone at Iceland Travel. It was a trip to remember! “For the third year in a row, we have partnered with Iceland Travel to run a competition to win a spot at the Iceland Writers Retreat. This year’s theme was ‘Iceland – Regard The Moon’ and we received over 350 submissions from the around the world. The old man watched from the dryness of the shore. On black sand in a black night. He tilted his head upwards, waiting for the clouds to pass. He would always come here, he knew that. This was where his heart was held. A tiny beating thing. The land was so vast, so strong, and only here he remembered his place. This time, he stood with his family, his son by his side, a man now. And they gazed together, waiting for the moon. He had always told him on each return, that you should never fear the moon, but only fear what you find reflected there of yourself. The only true advice he could think of, as he doubted again what he himself might see. The moon slipped silently into vision. Its light fell upon them. He tried to remember to breath. The whiteness slid along the ground, over the water and rocks and over their own small frames. His wife, slipped her hand through the shadows and grasped his. Her hair greyed, as had his, but she hadn’t aged. Her eyes spoke of youth and the chilled air had awoken her complexion. They aligned themselves, ready to see, ready to understand. This was the land of the moon, created in its likeness and only here, it felt like a homecoming. A resting place for the eternal. No words were spoken aloud, they were quieted in time. Their annual trip to this place brought that moment of peace. He thought of the next year and the next, and wanted to be here to see them all. His grandchild would make the trip and he could tell her about, it all, you had to feel as well as see. He closed his eyes to soak in the light. Then opened them wide to see what would be revealed. He was consumed by that moon. Its detail etched into his mind. The variations of its surface, pitted with memory. His wife turned to him, squeezed his hand one last time that year. She nodded at the moon and smiled. He wondered why, always wondered how it could be, them standing here. The gentle wind pushed back the veil and he found his hand empty once again. The moment had passed. He appreciated his son’s company with a glance, and turned for a final look up to the sky. He mouthed his thanks. This is where he’d remember her, his wife. Her laugh, her voice whispering to him. He felt his son’s hand on his shoulder. She had slipped away, but he couldn’t bring himself to let go. This is where they had met, this is where they came each year, and she would always turn up, like tonight, when the light was just right. On the black sand, under the white moon.